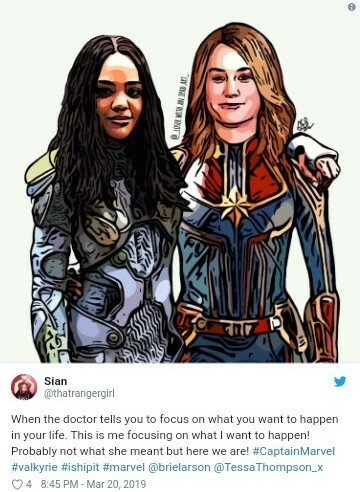 At the end of Marvel Studios’ latest hit, Captain Marvel, Brie Larson’s titular superhero blasts off into deep space searching for a new home for the Skrull refugees she’s befriended during her time on Planet C-53, aka Earth. We won’t know what she saw or who she met during her 20-year-journey until she returns to our corner of the Marvel Cinematic Universe in Avengers: Endgame. 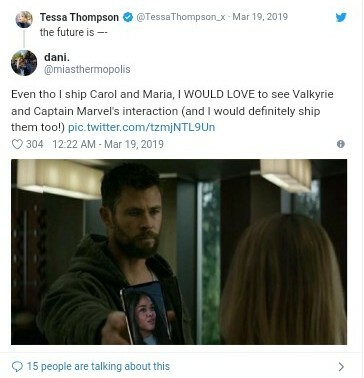 But social media already has a new buddy in mind for her: Valkyrie, the Asgardian warrior played by Tessa Thompson who stole Thor: Ragnarok away from Chris Hemsworth’s Thunder God. 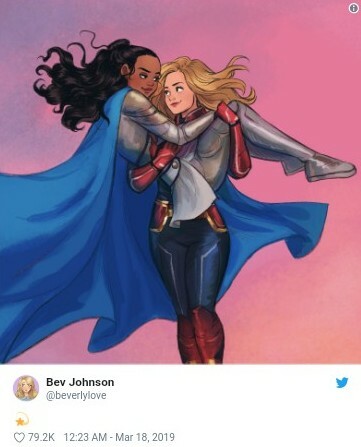 Since the record-breaking March 8 release of Captain Marvel, Twitter has been flooded with theories about how and when Carol Danvers and Valkyrie might cross paths. 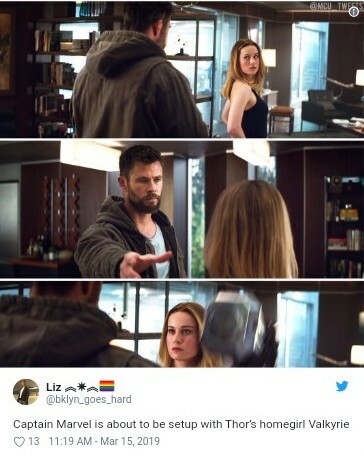 Some credit Thor as the possible go-between. 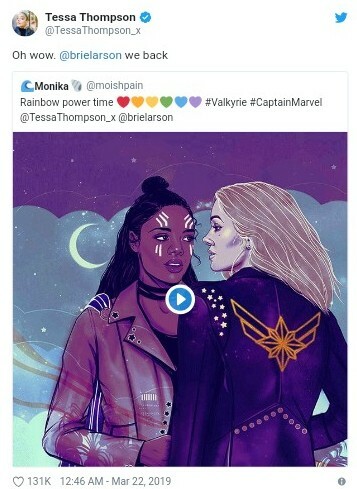 After all, he knows that Valkyrie escaped the space-faring Asgardian Ark that housed the planet’s post-Ragnarok survivors until Thanos blew it to smithereens. 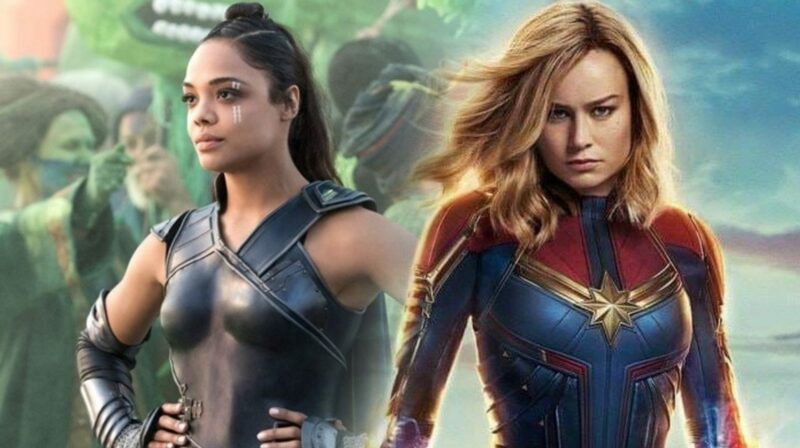 Of course, it’s equally possible that Carol and Valkyrie have a history together, particularly if Danvers made a pit stop on Sakaar sometime in the two decades separating Captain Marvel and Endgame. 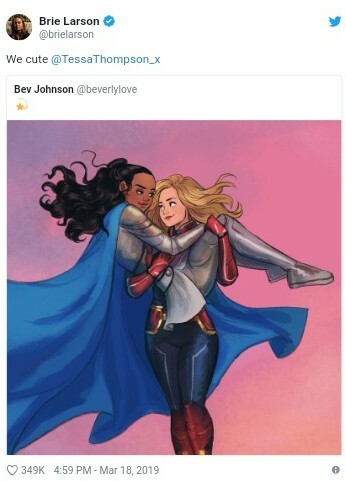 Friendship and love are both deeply felt in the fan art that’s been posted online, with fans allowing their imaginations to take flight. For the record, Larson and Thompson have given the pairing their personal seals of approval.